Protect your skin from the damaging rays of the sun and prevent premature aging. Most of our skin care lines, including SkinCeuticals, Dermalogica, & GM Collin offer a wide range of sun care products. 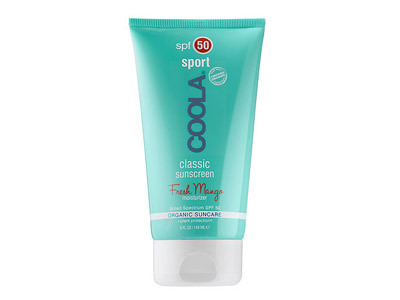 Coola Sun Care uses only the best natural and certified organic ingredients to create luxurious products that give you the best of both worlds — strong enough to effectively protect, yet delicate enough to sooth, moisturize and nourish your skin without the yucky stuff. 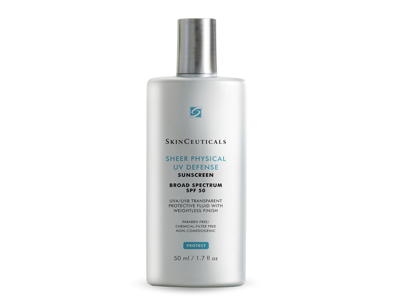 Skinceuticals Physical Fusion UV Defense SPF 50 combats photo-damage as it provides protection from broad-spectrum UVA/UVB rays in a weightless formula. The silky fluid texture immediately absorbs into the skin, instantly building resistance to heat and the sun. Color-infused technology enhances all skin tones, producing a healthier and more radiant appearance.